Do you diet and exercise regularly, but still can’t seem to get rid of those last little bulges of fat? Liposuction can be a good way to eliminate unwanted fat from your hips, thighs and stomach. Liposuction is one of the most popular types of cosmetic surgery to lose weight. Also known as “lipo,” this cosmetic procedure removes fat from different areas of the body to improve its shape and appearance. The thighs, buttocks, hips, abdomen and face are some of the most popular areas for liposuction. It would be great if liposuction could remove cellulite, too, but it does not. Liposuction only removes fat. 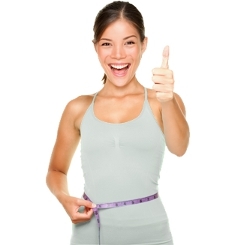 Obese individuals are not good candidates for liposuction. The ideal candidate for lipo is someone of average weight who is in good health and has tight skin. A person who is more than 20 pounds overweight probably should not receive liposuction. Liposuction shapes the body by removing undesirable fat from specific areas. A surgeon inserts a special instrument called a cannula into the fatty areas of the body and removes fat with the aid of a suction pump. Lipo is usually performed while the patient is awake, and the person can return home on the same day after the procedure. Recovery from liposuction is normally rapid, and most individuals can go back to work and resume their daily activities after a few days with no lasting side effects. Liposuction is popular these days because it is a quick and relatively painless way of eliminating stubborn pockets of fat that cannot be removed by diet and exercise alone. Liposuction before and after photos show that this cosmetic procedure can improve the shape and appearance of the body. Liposuction Before and After: Are the Results Permanent? The amount of fat that can be safely removed in one session of liposuction is limited. Removing too much fat (known as “over-suctioning”) can leave “dents” or “lumps” in the skin. Also, the more fat removed, the higher the risk of surgical complications. Liposuction of fat around the abdomen should not be combined with tummy tuck surgery at the same time because of a higher risk of complications. Some states bar surgeons from doing a simultaneous liposuction and tummy tuck. In most cases, the results of liposuction will remain for the long-term. Fat cells that are removed during liposuction will not return to the same area. Provided the patient does not gain an excessive amount of weight, the new body shape should be permanent. In the case of moderate weight gain after liposuction, the body shape will just be a larger version of the “after lipo” body. Having said that, the aging process will invariably lead to changes in the body’s silhouette. That’s why it’s important to exercise and eat a low-fat diet after having liposuction performed in order to maintain the gains achieved. Suction-assisted liposuction (SAL) is the most common type of liposuction. A tube (the cannula) is inserted into the area via a small incision and fat is suctioned out. Power-assisted liposuction (PAL) utilizes a specially-designed cannula with mechanical movements. This reduces the number of manual movements the surgeon needs to make. Ultrasound-assisted or ultrasonic liposuction (UAL) involves the surgeon utilizing a specialized cannula that transmits ultrasound vibrations throughout the body. This vibration breaks down the walls of fat cells, thus emulsifying the fat and making it easier to suction out. External ultrasound-assisted liposuction (XUAL) is a type of ultrasonic liposuction in which ultrasonic energy is applied outside the body through the skin. This method does not require the specially-designed cannula used in the UAL procedure. Water-assisted liposuction (WAL) employs a thin beam of water to loosen fat tissue. A special cannula is used to quickly suction out the fat. Success with liposuction is generally based on your expectations, and should not be considered a substitute for exercise and a healthy diet. Surprisingly, liposuction is one of the most popular types of plastic surgery for men. The best liposuction success stories are from people who have used it to eliminate fat from areas of the body that don’t respond to diet and exercise. Lipo is best used for these final “touch-ups” as you try to shape your body into its ideal form. Liposuction is considered to be successful when the patient is satisfied with the results. A liposuction doctor’s goal is to achieve the optimal aesthetic result, rather than maximizing the amount of fat removed. One of the biggest reasons for a disappointing liposuction result comes from having too much fat removed, thus producing an abnormal appearance. Successful liposuction surgery usually involves removing an amount of fat that is relatively small compared to a person’s total body weight, while at the same time producing a dramatic change in the body’s appearance. What is VASER Hi Def® Liposculpture? Try to eat low-calorie fruits and vegetables when they are in season. They will taste better and you are more likely to enjoy them!